Parents and teachers, here’s a little poster I made to explain that no matter how different they are, they deserve to be loved and respected. You can print this poster for your classroom of kids’ rooms (no commercial use allowed, please). To download a higher resolution, click here. Teachers and parents, I offer this little poster to print for free for your kids and students. 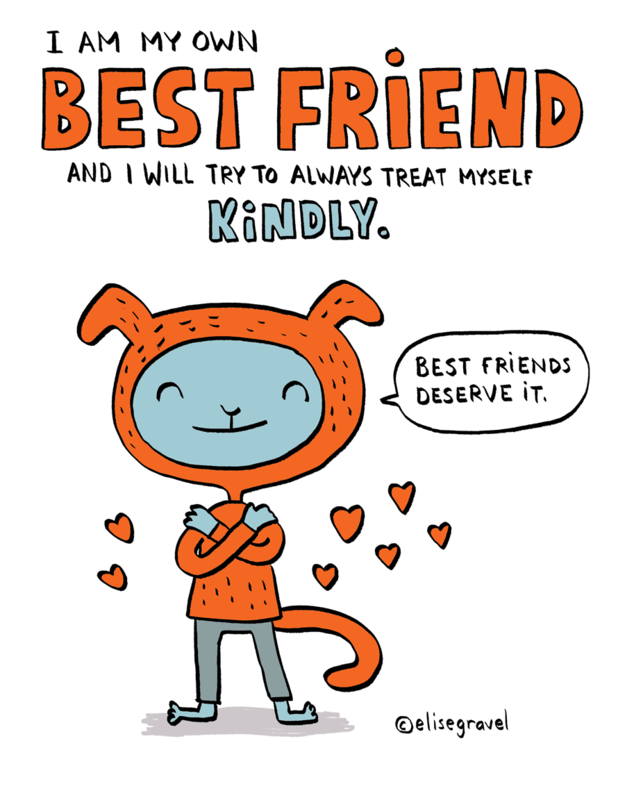 Teach them to be their own best friend and to always try to be kind to themselves; it’s a very important attitude that I wish I had learnt earlier in my life! No commercial use allowed, please. Click here to download a higher resolution. 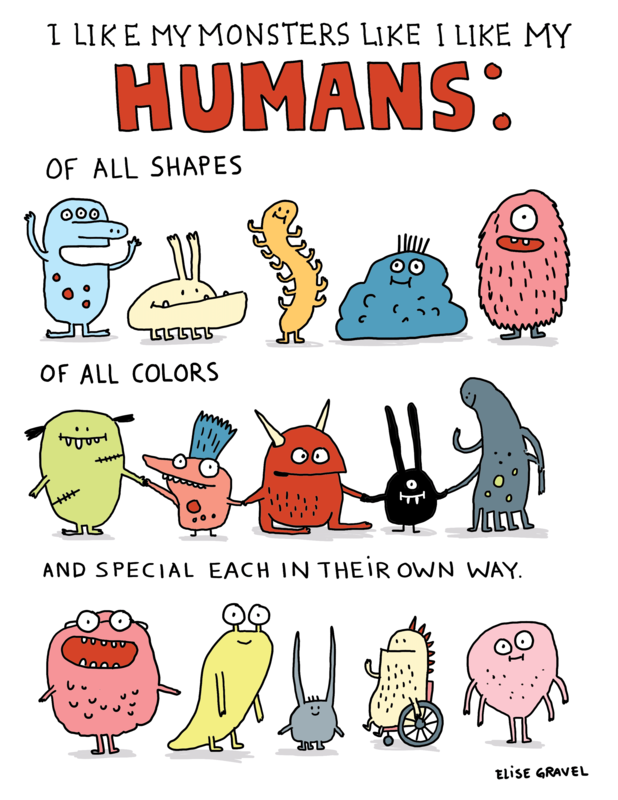 You can find all my free printable posters HERE (in the “Free printable stuff” section). 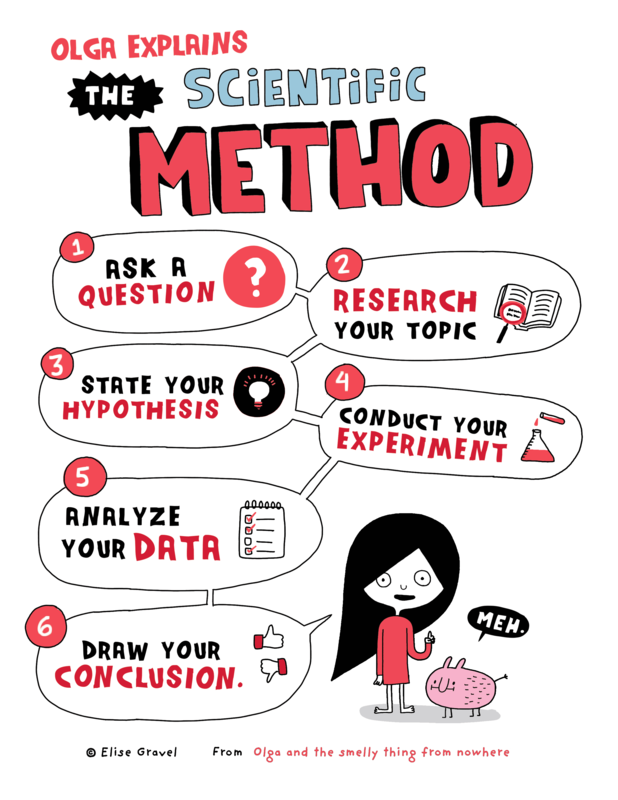 Here’s another free printable I made to explain the scientific method to kids. This mini-poster is for personal and classroom use (no commercial use allowed). 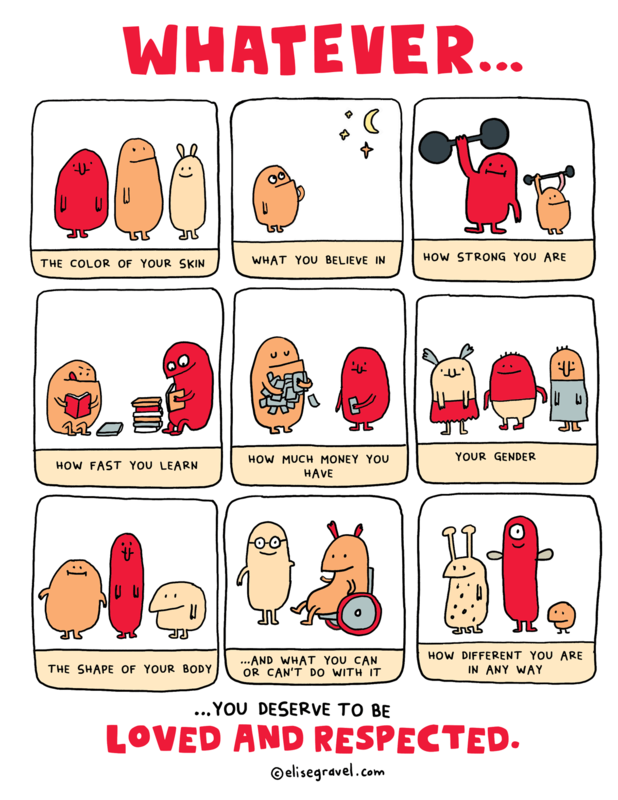 Parents and teachers, you can find a higher-res to print for your students or for home HERE. You can download this free ebook HERE. Parents and teachers, feel free to print it and use it in your classrooms or at home (no commercial use allowed). 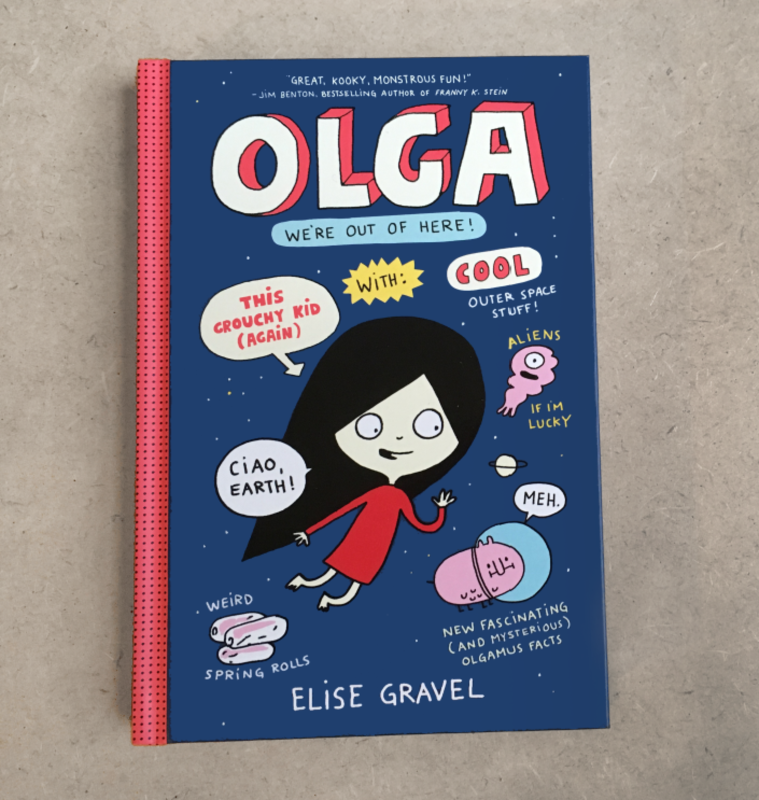 Olga #2 is coming soon! I just got my advanced copy and it looks perfect. 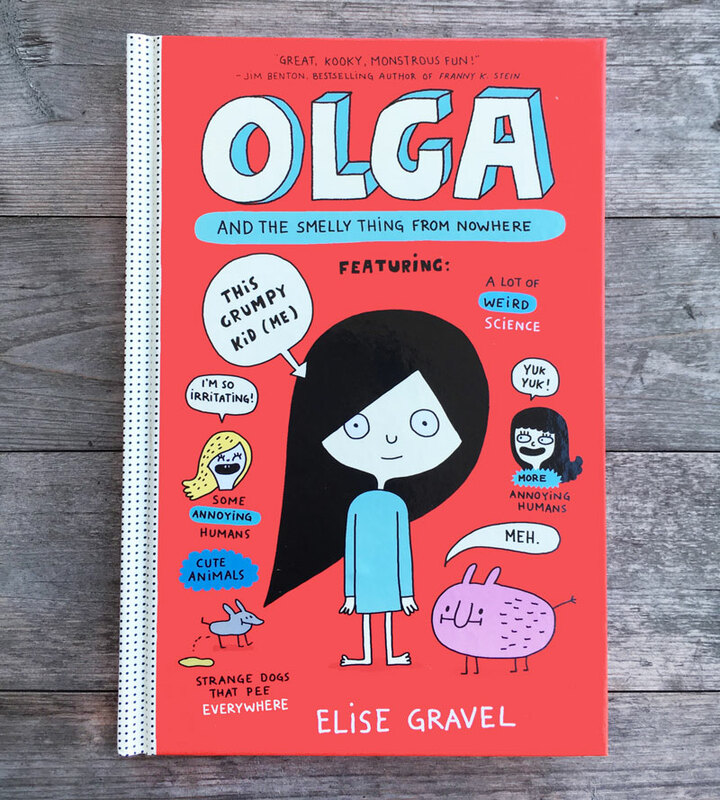 You can preorder it HERE, otherwise it should be in store by March 13th! Here’s a little poster I made to counter gender stereotypes. Teachers and parents, feel free to print it for personal or school use (no commercial use, please). Click here to download a higher-res version. There is now a BOYS version of this image! Also, if you’d like to further discuss gender stereotypes with your kids or students, take a look a this free e-book I made a while ago. 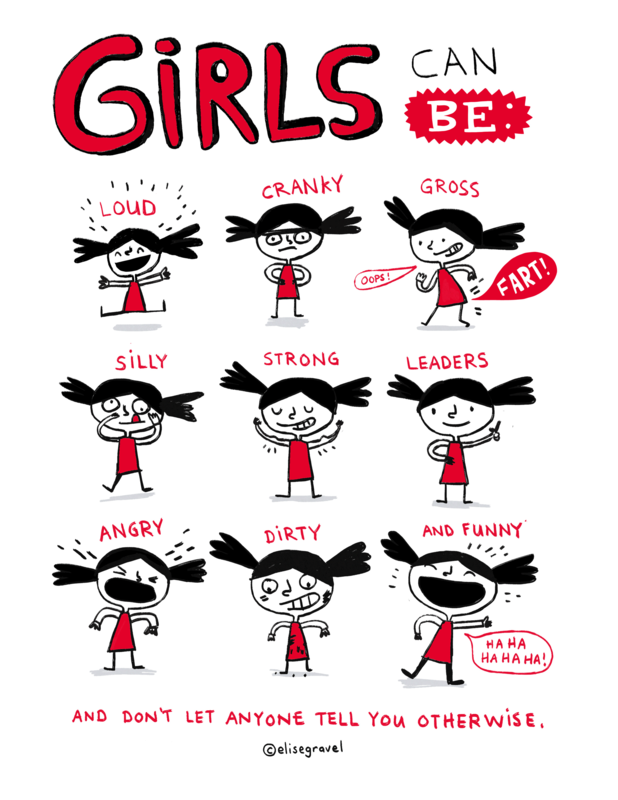 You liked the “Girls can be” mini-poster and many of you asked if I would make a boys version. Here it is! Teachers and parents, feel free to print it for your classrooms and at home (no commercial use, please). Click here for a higher-res image. 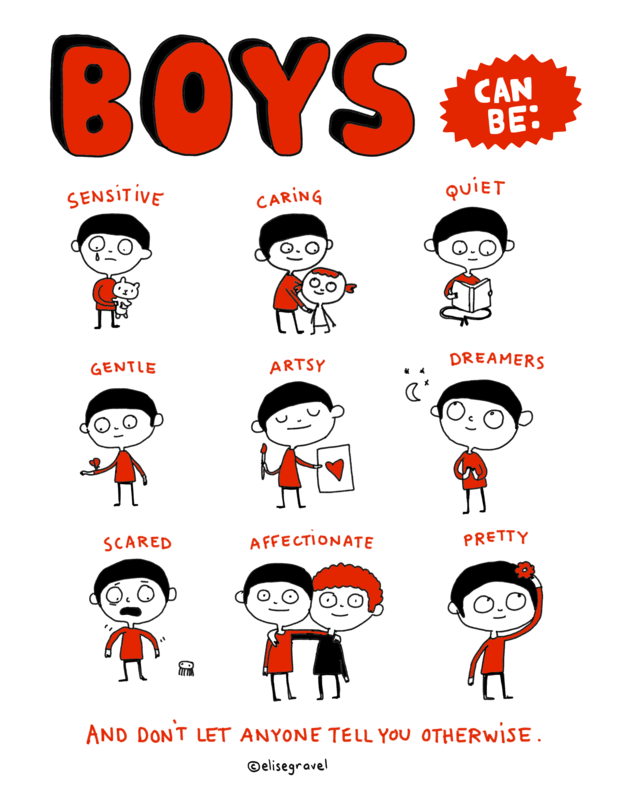 If you want to discuss gender stereotypes further with your kids, you’ll find “Artsy boys and smelly girls”, a free e-book, here. 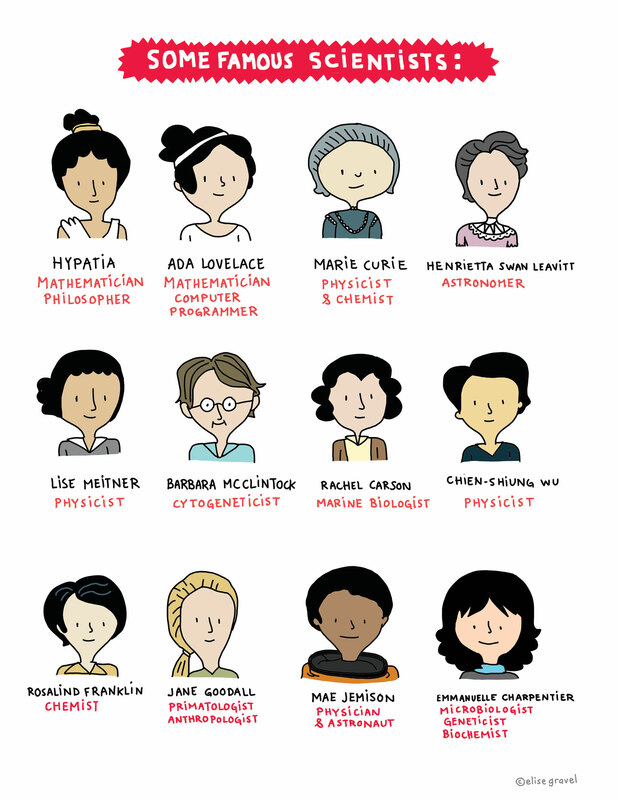 Here are some scientists that your kids and students might like to meet. Feel free to print this poster for your classrooms and at home (no commercial use allowed, please. ) The high-res version is HERE. Parents and teachers, feel free to print this for your classrooms and kids if you think the message could be useful, as long as you don’t use it on anything you plan to sell. Click HERE to download a higher resolution.